Personalised Full Colour Wooden Key Holder. 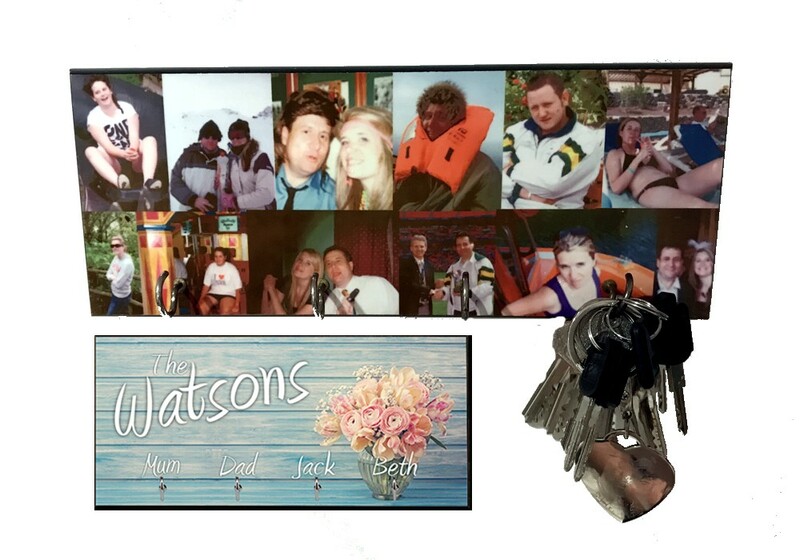 This great key holder measures 5 x 10 inch and is ready for you to add text and picture. It has 4 hooks ready to hang your keys on.